The Federal Housing Finance Agency (FHFA) has released their year end reports regarding the housing market. What these reports have shown is that the housing market is still in a decline. The enormous amount of foreclosures that are available on the market are driving home prices even low. Lenders, looking at the escalating amount of properties on their books are driving prices even lower in an effort to get faster sales. Fourth quarter reports show that home prices fell 4% compared to the same quarter in the previous year. This was the largest drop in value since 2009. The report also indicates that the drop in prices varies from state to state. Idaho saw the largest drop in home prices, 16% and North Dakota saw an increase of over 5%, proving home prices have much to do with the local economy. 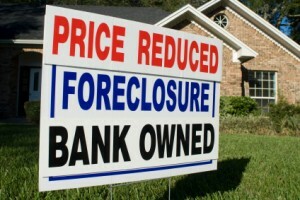 Foreclosed homes accounted for 37% of all sales in the last quarter. This is a rise from the previous quarter by 1%. Foreclosed properties also sold for 28% less than equivalent properties in the same area that was not distressed. It is estimated that 1 in 7 homes are currently behind in their mortgage payment or are in the process of foreclosure. 1 in 4 homes are “upside down” meaning they owe more than what the home is valued. Both of these figures lead analysts to believe there will be more foreclosures flooding the market and driving prices lower during 2011. Home inventory has risen to an all time high, estimated at over 12 months, and it is anticipated that the figure could remain that high during the first quarter of 2011. Other reports released by Zillow and the National Association of Realtors show that anticipated home purchases have dropped in January and February as potential buyers are holding out for another drop in pricing.